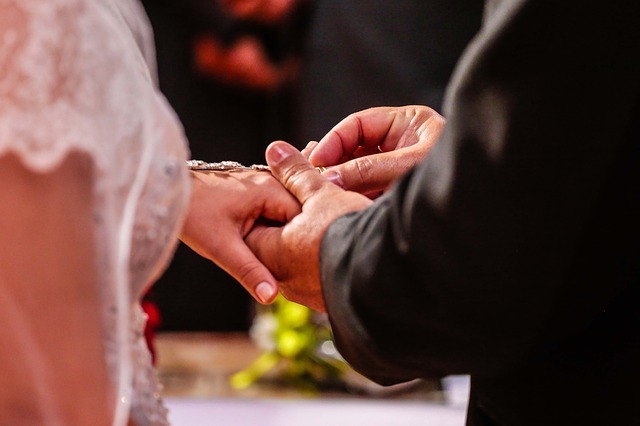 The Catholic Church confirms Jesus’ teaching that the marriage bond is indissoluble, and therefore encourages couples “to grow continually in their communion through day-to-day fidelity to their marriage promise of total mutual self-giving…and by the Eucharist received together” (see CCC 1644,1643, 1645-1650, and 2364). Pope Francis adds: “The holiness and indissolubility of Christian matrimony, often disintegrating under tremendous pressure from the secular world, must be deepened by clear doctrine and supported by the witness of committed married couples” (April 25, 2014). As the Apostolic successors of Jesus Christ it is incumbent upon the Pope and Bishops of the Catholic Church not to weaken marriage by lessening or weakening its indissoluble, sacramental character (please see my previous post, “The Dark Clouds of Eucharistic Ambiguity”). Note: The phrase, “except for unchastity,” mentioned in Matthew 19 (quoted above) is translated in the Greek as “porneia,” meaning an unlawful union such as the “porneia” mentioned by Saint Paul at 1 Cor. 5: 1-2, where a man had married his father’s wife. Divorce is permitted here because the union was unlawful to begin with. See page 41 of The Ignatius Catholic Study Bible, topical essay, “Jesus on Marriage and Divorce,” which provides further explanations, all prohibiting divorce and remarriage. The Church’s valid jurisdiction over annulments, which generally concerns impaired matrimonial consent or other reasons rendering the marriage null and void, is not the topic of this post. See CCC 1629.
what a great lesson! I feel blessed and refreshed. May God bless His words. please keep the post coming.